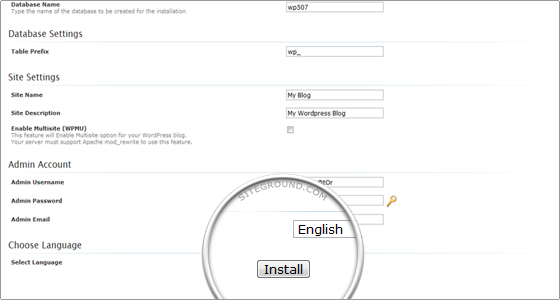 In this tutorial we will show you how to install a script from the Softaculous auto installer. 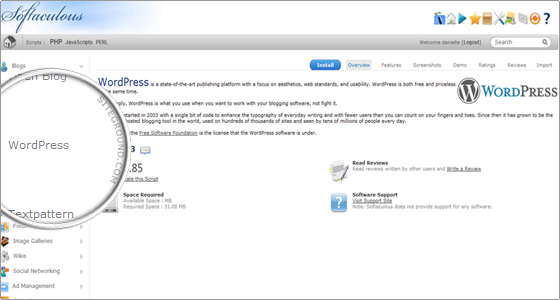 In the example we will install WordPress which is a popular blogging application. You can chose, however, fro hundreds of scripts in our Softaculous hosting package. 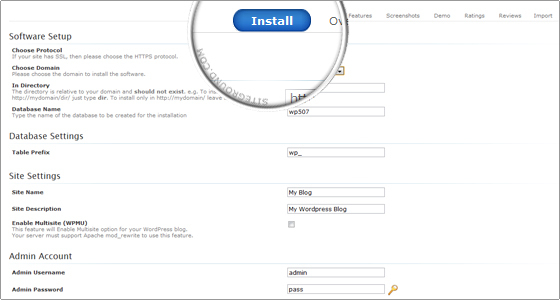 In order to access the Softaculous installer you need to login to your cPanel. Go to https://domainname.com:2083 and login with your details. Please replace domainname.com with your own domain which you are using for your hosting account. After that click on the Softaculous Icon in the Software/Services tab. The script details will appear and you will be able to check the ratings, reviews and even access a demo of the application. Click on the Install link which is right next to the Overview button. On the new page you need to fill in the installation details - domain name, installation directory, administrative login details, etc. By default Softaculous will select your primary domain name and it will attempt to install the application in your main web root folder - public_html. If you want the new installation to be in a sub-folder please type the name of the folder in the In Directory field. We also strongly advise you to change the default login details admin/admin to something else. This way you will be sure that a hacker cannot guess the login credentials. Please double check all details and then proceed to the next step. To install the script scroll down to the end of the page and click the Install button. Usually all applications are installed for no more than 15-30 seconds. However, some of the apps are bigger and their installation may need some more time. When everything is configured the Softaculous installer will display a page with links to your newly installed application. Click them and you should see your new website and the administrative area of the software.